Summer’s almost here, a bit indecisive, but slowly coming around. The beach, sun and warm breezes, there is just so much to enjoy during this season. Many, though, enjoy spending their time hiking on mountain trails, taking in the adrenaline of being so high up and relaxing in the cool breeze and greenery. When it comes to such activities, having the correct outfit is essential. You cannot afford to be that far up and realize that your T-shirt was not such a good idea, and that maybe you should have brought your jacket as well. But who wears jackets in the middle of summer? Luckily, there are so many options when purchasing a jacket that can be summer appropriate. Let’s say you’re not a fan of hiking either. Now what? Well, wherever you are going and whatever activity you will be engaging in, the importance of proper clothing is the same. So, today we will introduce you to an outfit for men that is versatile, can be worn in many different occasions and sports and you can adapt it the way it suits you best. We have included a polo shirt, a pair of shorts, a soft shell jacket, a hoodie, a swimsuit and a set of suitcases, so you will be able to carry as much as you would like with you, safely and easily. The whole outfit and suitcases are from Geographical Norway, a very well-known brand for their sportive clothes and winter jackets. Without anymore delay, let’s head right on to the outfit. 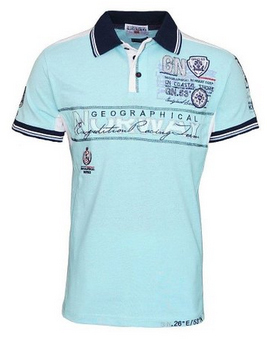 Firstly, we are starting off with the polo shirt of our choice, it’s the Kanker polo for men. It comes in the color sky blue, with lines of dark blue and white. The collar is folded, giving it the classical polo shirt look, with the three-button closure and in the color dark blue. There are many logos on the shirt, with the brand’s name taking the most space, going all the way across the chest. There are logos on the upper left side of the chest, on the sleeves and a smaller one underneath the main logo, on the right side. This is a very comfortable shirt, that will go well with many sportive pants and jackets. The material is 100% cotton. 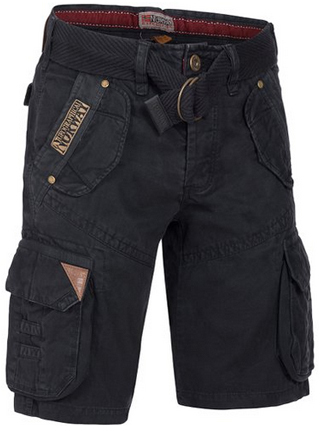 For the pants, we have selected a pair of shorts, that come in a nice design. They are lightweight and very comfortable to wear. These pants are not a tight fit, which leaves room for more comfort during movement, therefore they will not be in the way when you are walking, running, hiking, or even just laying back and relaxing. They are made of cotton, and come with a removable fabric belt, with hoop closures. There are four pockets on the front part. Two of them are located on the upper part, on the sides and the remaining two, are a bit oversized and close with flaps, and are located below the upper pockets. There are also two pockets on the back. The length goes just above the knees and the pants close up with a zipper and a metallic button on top. There are three colors available: Black, Khaki and Beige. Depending on where you are going to spend your leisure time, a lightweight and comfortable jacket is never unnecessary. And soft shells are definitely the best choice, for mostly any weather, and certainly for any activity. They are highly breathable, which will keep perspiration out and are also windproof and water resistant, making sure that you will remain dry and warm. The model of our selection, for this outfit, is the Trimaran outdoor soft shell jacket for men. It is made of 96% Polyester and 4% Elastic material on the outside and the inner lining is made of 100% Polyester. 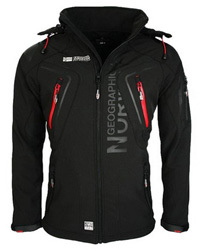 This is a very durable jacket, that will last you a long time and will also perform very well in challenging terrains. 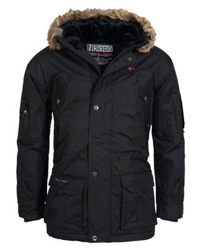 It is a long sleeved jacket, with a high collar and a detachable hood, that can be adjusted with drawstrings. There are two side pockets, one breast pocket, one sleeve pocket and two zippered inner pockets, one of which has an earphone opening. There are Velcro on the cuffs and drawstrings around the hem, for proper insulation. The colors available are: Red, Black, Blue, Kiwi and Dark grey. 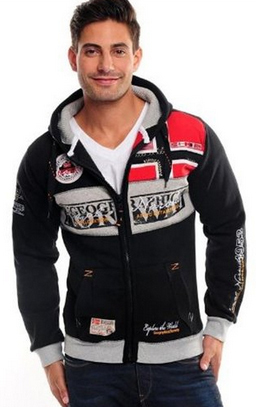 If a soft shell jacket might not do the job, we have also selected a hoodie, that will provide more warmth. The one we have selected is the Flyer Sailing hoodie. There are adjusting fabric cords on the inside of the hood, which comes a bit oversized as well. The sleeve cuffs go a bit beyond the wrists and are also knitted, as is the hem. This hoodie is made of 65% Cotton and 35% Polyester, making it breathable and properly insulated, to keep the warmth inside. It comes with two side pockets and several logos on the sleeves, front and back. 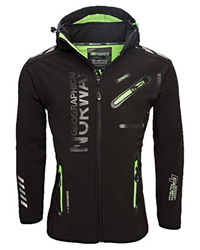 The brand’s name occupies the most space, located across the chest, once again, and there is the Norwegian flag on the upper left side. On the sleeves are placed the brand’s name written in a hand writing style, with the year 1953, as always, in many Geographical Norway item. This hoodie comes in three different colors, each with their own details. They include: Light grey, Black and Navy. For those planning to spend their trip by the seaside, here is a pair of swimming shorts, made of 100% Polyester. They have an elastic band and adjusting fabric cords, so they’re sure to fit you correctly. 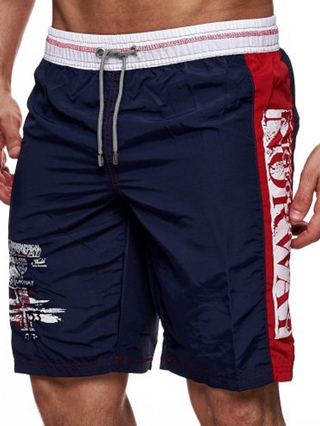 The length is above the knee, a very popular design for men’s swimming shorts. There are the brand’s logos on both legs and the colors available include: Orange, White, Navy, Black, Light Blue and Red. The outfit is completed so you are ready to go. This brings us to the last item in our selection. 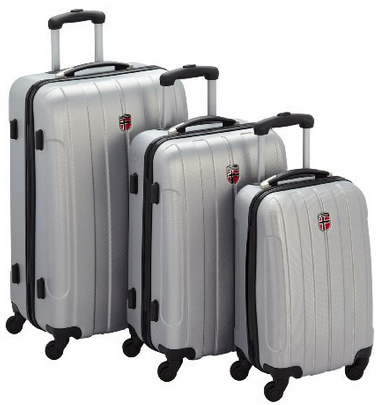 The suitcase set, that is composed of three suitcases, in three different sizes. This is quite practical, because it allows you to use the one you will need, without having to carry a bigger suitcase with you for a few items, but you won’t have to stuff too many things in a small suitcase, either. They come in the color grey, with black details such as the handles, the zipper and wheels. It is a carry and drag set, so you can carry them however you prefer. The inside is black, and comes with several pockets and elastic bands, so nothing will move, fall or get damaged while inside. 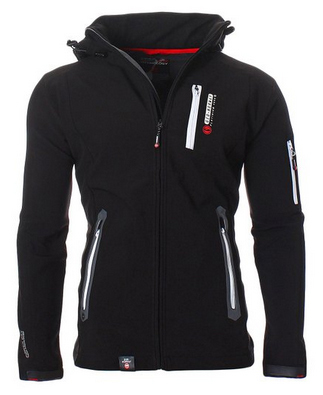 Previous Article← Softshell Jacket vs Fleece: Which One Is Better? I bougth in my holiday in Italy / Caorle the wounderful Sweater Kagatel in XXL. After the first washing by 30 degrees, I have now a small size and the shirt collar are now left & right are different. Who can help, I payed with credit card and not coming to Italy again where is the the company Geographical Norway sitting and do they have a complaint department. 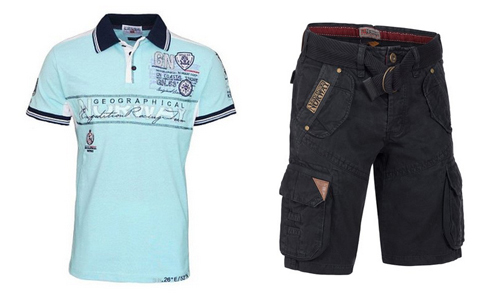 Generally I would like to by more, because the outfits look very nice and fit for a 2,01 m men. 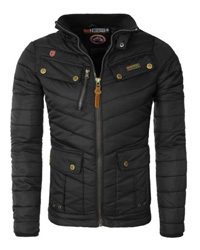 In this site we present collections and reviews of jackets from various brands on different online shops like Amazon. This is not the official site of Geographical Norway. We’d suggest contacting the shop where you bought it. Thanks!